Last year I posted about Armchair Ready-To-Run designers being an extension of the term “armchair modeller” that has been used in the hobby referring to those who are vocal in criticism and comment but are sat in their comfy chairs tapping away on their keyboards without actually the processes involved in various aspects of the hobby. That particular post focused on the design side of things and why just because one model has been produced it should mean that a further slightly different model can or should also be produced. The announcement today by the National Railway Museum working with Bachmann of the exclusive model of the ex Great Northern Railways Ivatt C1 4-4-2 Atlantic locomotive has prompted this further ‘Armchair’ post. Some say… that such a model was inevitable as Bachmann had already announced the ex LBSC Marsh H2 Class Atlantic. 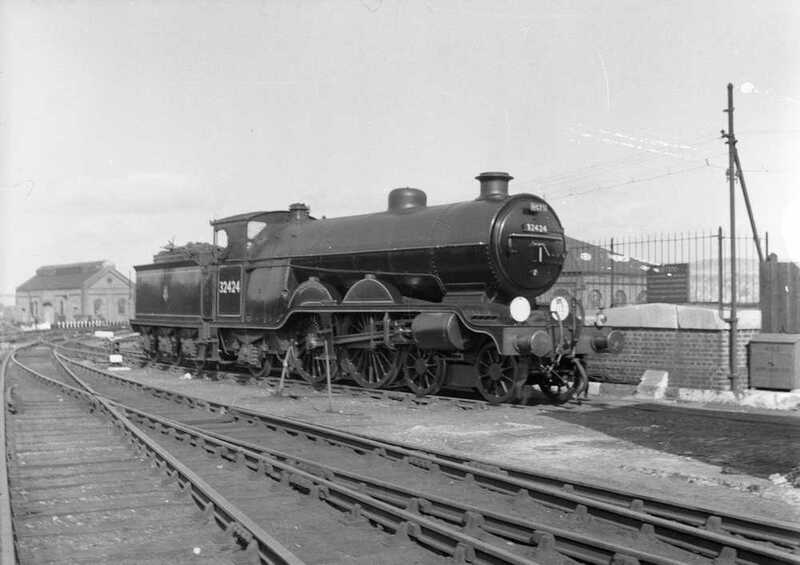 It is true that the Marsh H2 Class and its predecessor the H1 class can be directly traced back to the Ivatt C1 Atlantic owing to the fact Marsh had previously worked with Ivatt on the C1 class whilst he worked for the GNR and that the boiler and a proportion of the chassis design is the same. In model terms though such lineage does not necessary mean savings in design, tooling, or production costs. As I mentioned in my previsious armchair post a common boiler does not help with tooling costs as often it is combined with different cabs, fitting, running plates or other differing details. In the case of the two Atlantic models, and I discussed this with Bachmann staff a couple of weeks ago, in reality only approximately 70% of only the chassis components are actually common. The loco body, tender and trailing truck are all different and therefor unique tooling. Therefore it is only a small proportion of time that can be potentially saved at the design stage, as such as design work carried over for those small number of common components (remember its approx 70% of the chassis only that is common) that can be simply copied. Even with these limited number of common parts the two models are likely to be completely separately tooled. This is due to other reasons which a lot of people do not consider such as: the fact that if part of the tooling is used for more than model it creates double the wear on certain tools compared to the rest, the logistical issues of either stock holding between production runs or trying to manage production slots of both models at the same time. 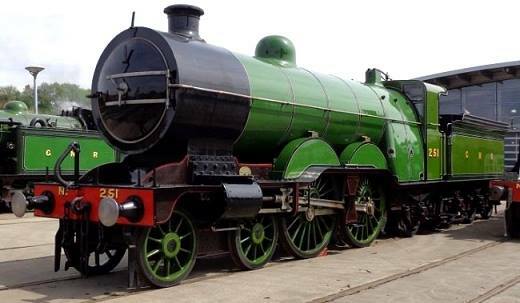 This logistical challenge is hard enough for Bachmann whom unlike Hornby only have production at one factory. Hornby have different models being made at a number of factories which is another reason why they would not usually share any aspect of tolling or components between models / factories as other wise it would be a logistical, transport and stock holding nightmare, in addition to the issue of uneven tooling wear. I hope this post gives further food for thought into the issues that have to be considered in the design, tooling and production of models for the Ready-To-Run market. I love graham’s blogs but to me “armchair modellers” are not necessarily moaning critics. They may (like me) love the hobby but have been unable to do more than admire others’ efforts. I totally agree with you that not armchair modellers are critics it is just a generic term that has appeared in the hobby over the last couple of years but has been generally been directed at such critics that are usually vocal without an understanding of the full picture or willing to understand it. Possibly “keyboard warriors” would be more appropriate than “armchair modellers” to diferentiate between those who are interested but not active modellers as opposed to those who are interested but FEEL THE NEED TO TELL THE MANUFACTURERS HOW IT SHOULD BE DONE!!!!!!! in capital letters and without the hinderance of knowing anything about the practical side of the industry. Yes both terms have been seen banded about and have come to mean the same thing even though I accept there are those whom do not actively model but take an interest that are not those being aimed at in my post.